Am I the only one who sees these everywhere? The small, vibrant purple-splashed boxes seems to greet me in local boutiques, storefronts, business groups, online, offline in windows, in magazines! Enough! I finally bought a set for myself to see what the hype was about. Yes, I bought a deck of the famous SOUL Food cards. Soulful Nourishment for the Body, Mind, Emotions and Spirit. 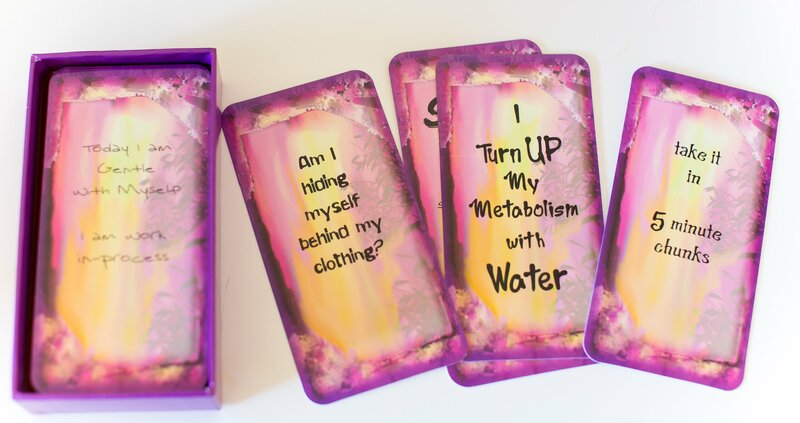 66 card deck by Nadine, N.D.
Feed Your Soul, Fuel Your Life…Each SOUL Food card is designed to Inspire, Uplift and Motivate you so you stay FOCUSED on your Goal. When you select a card, you have an opportunity to STOP, Take a Breath, Realign with your Inner Truth and step Forward with Clarity, Certainty and Balance…The reverse side of each card contains action steps supporting the inspirational thought or statement from the front of the card. I was ready to play. I would pull the perfect inspirational card to focus on that day and follow the action steps. The next morning, I make myself a juice from pre-cut and washed fruits and vegetables. Then I remind myself to eat a small pre-packed protein snack every two hours. I carry my snacks with me to my office and in my purse. By dinner time, I am not famished and could actually do without a meal, but my husband cooks some delicious salmon, rice and a salad. And why haven’t I been doing this every day? Thanks SOUL Food for the reminder! Increased energy is critical for me, especially with waking up at 5 a.m., caring for a 3-year-old and running a business. That was just one card that set the tone for my day and gave me a boost. What will the other 65 days be like? Meet the creator of SOUL Food Deck One.... a FEAST for the Soul, Nadine, Naturopath, HEALER, Teacher, Clairvoyant. Nadine is a brilliant and boisterous, yet thoughtful, intuitive and intellectual entrepreneur. I have known Nadine for about a year through a business group we are in together, Conscious Business Connection. Nadine is always the one to break up any tension in a group and slices the status-quo with her witty, punchy, humor. 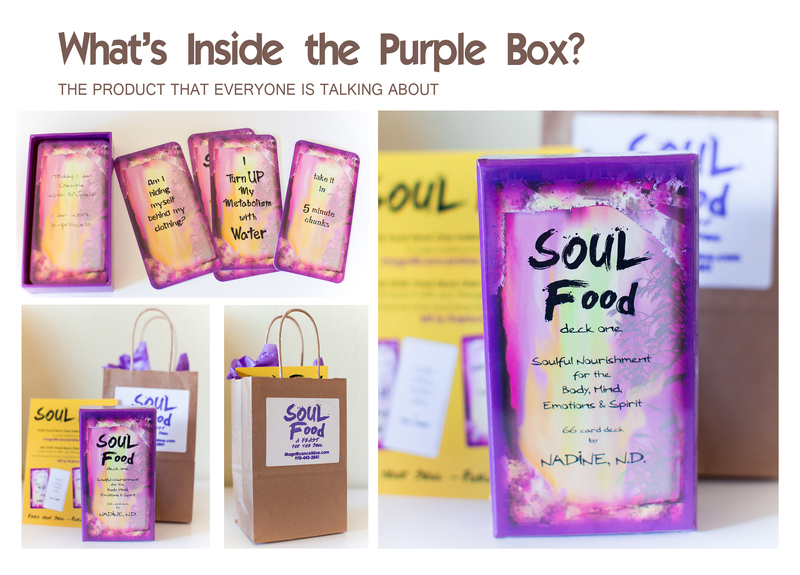 When I first viewed the SOUL Food box I thought, awe, yes, colorful Nadine! 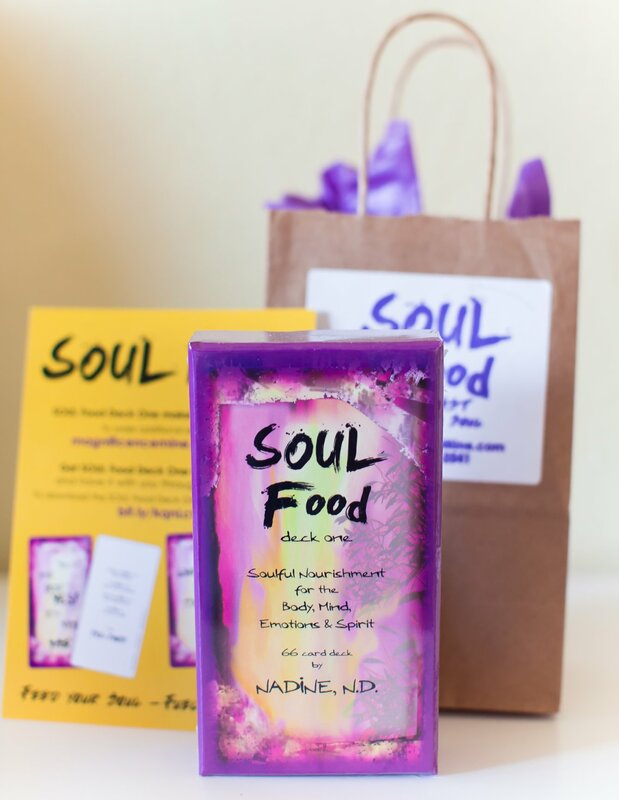 SOUL Food is a perfect mix of Nadine’s background in health, nutrition and spirituality. 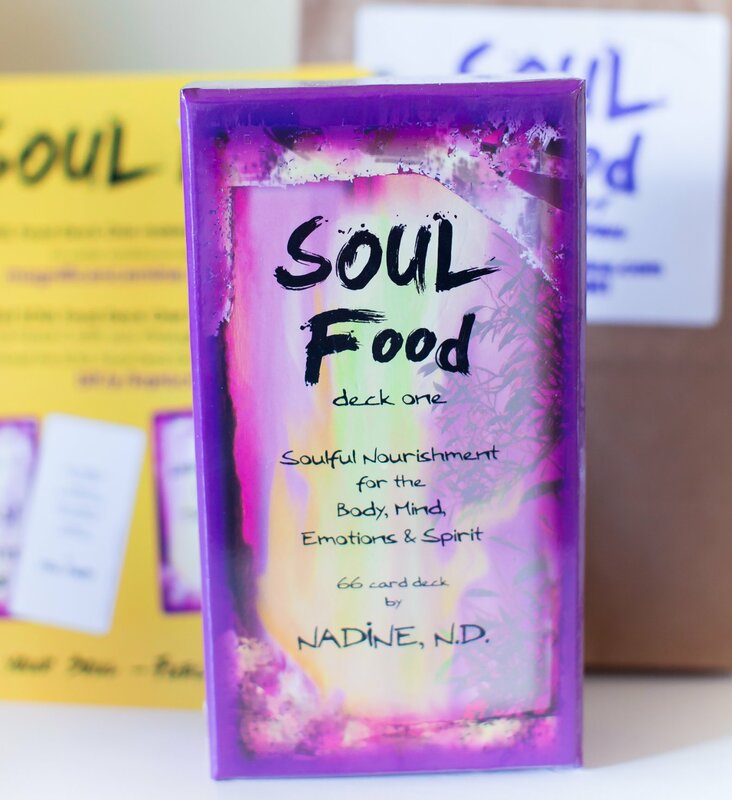 To get your own copy of SOUL Food and to watch your life transform through its inspiration and action steps, contact Nadine at drNadine111@gmail.com or 970-443-2541. Or find it online here: Nadine's website Magnificence Mine as well as on Amazon. Was there ever a moment in your career when you felt like quitting? I have worn a few hats over my lifetime. I started out as a High School Mathematics Teacher. And YES there was a time when I was so fed up with 'rules' and 'BS' and only "one way' things could happen. There was so much hypocrisy in the public education system and I was fed up. HOWEVER, I thought I had to keep going. I would figure out a way to deal with all the BS. It took another 3 years of pain, of bashing my head against a wall that was not going to move, for me to listen. When the lesson came in a gentle way (like a feather) I did not hear it... It took the Universe hitting me between the eyeballs for me to finally walk away from a very dysfunctional system. I do not feel like I failed as a teacher, I just feel like I was meant to go in another direction and it took me a while to 'get it' and to shift. I was diagnosed with Cervical Cancer in 2003, as I was being wheeled into surgery, I recall saying... If I make it through this, I dedicate my life to helping others HEAL their bodies. At that point I truly shifted out of Mathematics and shifted into Well-Being. I studied and became a Naturopath (Natural Doctor) focusing on Nutrition and Herbology; I studied further to become an Iridologist and then finally came out of the background as a HEALER... meaning I hid from the world my ability to SEE, to KNOW and to HEAL. During my journey, I created SOUL Food. It is a body of 66 cards that inspire, uplift, motivate, encourage, challenge and empower. I created them in 2005 with the dream of getting them into PRINT. I had so many road blocks. I was very discouraged along the way. I just could not seem to get things rolling and into action. I realized that I had more inner work to do, my own Healing around Abundance, Receiving and Having. I was able to get SOUL Food created as an app for iPhone, iPad, iPod touch in 2008. Since the launch, the app has been downloaded in 21 countries. I finally was able to get the cards into PRINT this past year. I received 2000 decks of SOUL Food on December 7, 2015. It took me TEN YEARS to complete this dream. Yes there were times I said, forget it. It must be time to let it go. But then my heart would hurt. I knew I still needed to get these babies out into the world. What helped you keep going? I meditate daily. I Create my Reality. I surround myself with others who can help see my Vision. 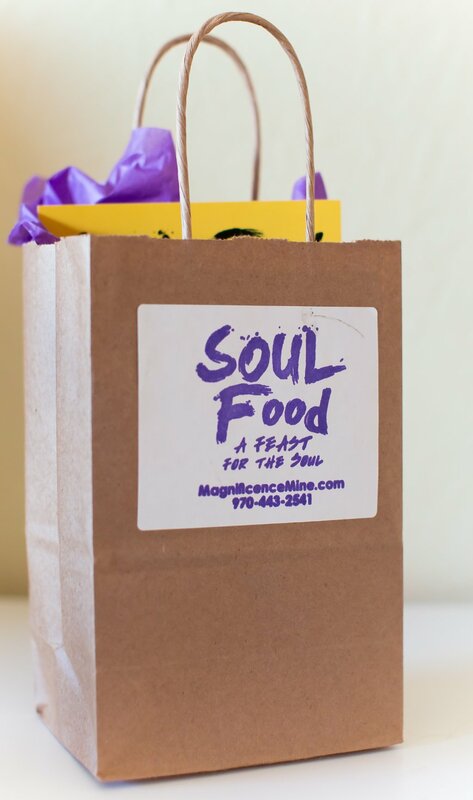 I called upon many people to help me Visualize SOUL Food coming into PRINT. I cleared my own 'space' of road blocks and kept 'acting as if' the cards were already here. I AM RECEIVING YOUR HELP. My willingness to ask for help, my courage to keep going, is what has allowed me to realize my Dream has be come a Reality. So I say to anyone reading this... KEEP GOING! And Do what needs doing so YOU can make Your Dream come true. To read more on Nadine and how she can help you shift your energy, or shift your awareness with a situation or nutrition, visit her Web site Magnificence Mine. The website has courses and meditations as well. For more information about Nutrition, visit Nadine's personal training and nutrition consulting Web site here. 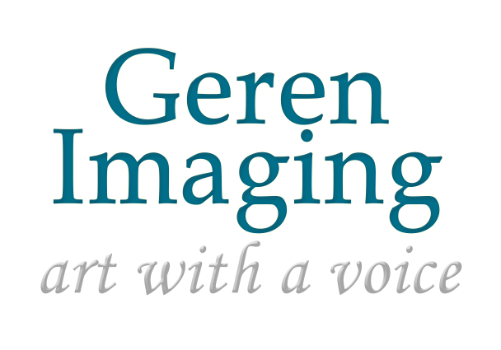 Contact me at jennae@gerenimaging.com to find out how you can be our next featured entrepreneur. Amy Leasure - I want these cards! They'd make great gifts, too. Good post!